If you happen to find your fridge on the blink, don’t hesitate and call our company for a quick and professional refrigerator repair. Our team provides appliance services across the Oshawa area in Ontario and ready to assist you whenever the urge arises. Whether your fridge is not cooling well or leaking water, our refrigerator technician Oshawa team will set things straight within a short notice. Contact us today to book the service you require! When you choose Appliance Repair Oshawa, you can be sure we will handle the task to your absolute satisfaction. 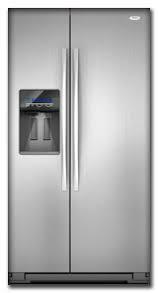 Our technicians are trained to work on all types of refrigerators and can easily address any problem that occurs. By having most of replacement parts at our disposal, we can perform any repair job in a single visit. In addition to fridge repairs, our experts specialize in installation services. By hiring us to install your unit, you can rest assured that the job will be done right the first time. We have completed a good number of installation projects and know how to do it well. We can ensure that after our services, you won’t face any troubles related to improper installation. Aside from repair services, our team can assist you with regular maintenance. Calling our refrigerator technicians to come inspect your appliance on an annual basis is the best way to avoid serious damages and costly repairs in the future. Our specialists will thoroughly examine your fridge to detect what parts have to be replaced. We will take all steps needed to make your appliance run at its peak efficiency all the time. As soon as you call our company, you’ll realize that you’re dealing with the team of highly qualified refrigerator technicians of Oshawa. Not only are we available for same day service but also flexible in scheduling appointments. No matter if it’s repair, installation or routine maintenance work that you need, we will go above and beyond to achieve the utmost results! Appliances Repair Oshawa Ltd.© All Rights Reserved.